Earlier this week, Sony revealed its intentions to recover its business over the next three years and that it expects to report a loss of $2.1 billion for the fiscal year ending March 31. Part of its restructuring will include moving the firm's video and sound businesses into a separate entity. The firm also said it might exit the television and mobile markets to instead focus on PlayStation and other business segments that are making it money. Sony makes some pretty great smartphones, so why is it considering killing off its mobile business? Sony said one of its key strategies is to emphasize profitability "without necessarily pursuing volume." In other words, Sony wants to focus on products that are making it a lot of money, even if it's not selling millions and millions of units. Mobile hasn't been good to Sony in that regard. In fact, mobile is a major contributing factor to why Sony's business has been losing money for the better part of six years. In September, for example, the firm said that it was taking a ¥180 billion ($1.5 billion) impairment charge "as a result of revising the Mobile Communications segment's mid-range plan." That plan was established to help Sony offset its struggles with competition, but it hasn't really worked. Let's talk about why that plan came to be in the first place. As early as 2013, Sony combined its mobile and personal computer businesses into one segment called Mobile Communications and Personal and Mobile Products, or MP&C for short. Quarter on quarter and year-on-year the segment was reporting continued operating losses despite increases in mobile sales. 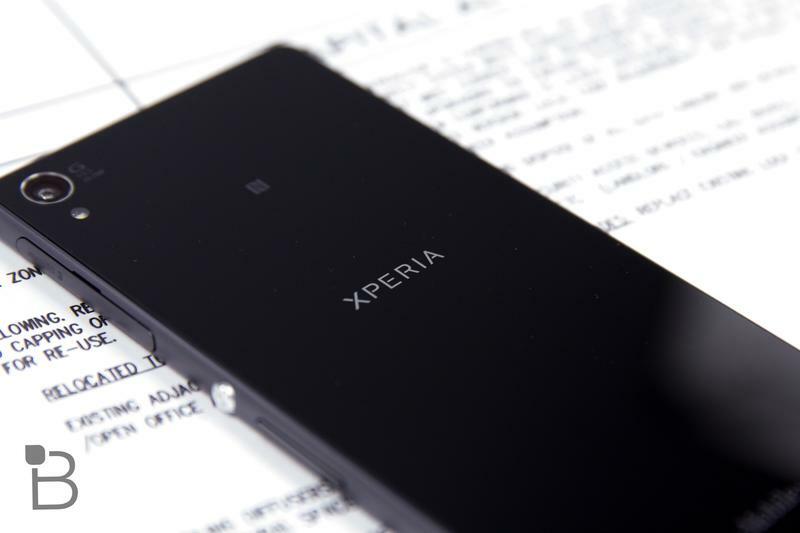 Sony, seeing opportunity in mobile, decided to separate the business and bail on PCs. It made sense, especially due to the increasing operating losses in the PC business. By the fiscal first quarter of 2014, Sony had officially separated its mobile business into a new "Mobile Communications" segment. It reported an increase in sales of 10.1 percent year-on-year, but still noted an operating loss of $27 million. It attributed the loss to the "reversal of a patent royalty accrual," and increased R&D and marketing on mobile devices. In the fiscal second quarter of 2014, Sony said sales had increased just 1.2 percent year-on-year but that its mobile communications business still posted an operating loss of about $1.57 billion, which it primarily attributed to its Ericsson buyout of the joint venture. At the time, however, it also explained some of the issues that has been facing Sony's mobile business. The firm said it was facing headwinds and expected annual unit sales in China to decrease while the "unfavorable impact of the appreciation of the U.S. dollar, reflecting the high ratio of U.S. dollar-denominated hardware costs in the segment," was also hurting its mobile business. In its fiscal third quarter 2014 release, which was published on Feb. 4 but was incomplete due to the major hack that occurred earlier this year, Sony said its mobile communications business sales increased 28.7 percent year-on-year and that its operating income, not an operating loss, came in at $76 million. Sony said the improvement was "due to the above-mentioned improvement in product mix and increase in smartphone unit sales." Sure, Sony may have finally had a small bit of operating income from its mobile unit, but the problem lies in the full year results. That small drop in the bucket of income won't offset the loss for all of 2014, which Sony expects to come in at roughly $1.8 billion (215 billion yen). Worse, while Sony's mobile segment has been hit quarter after quarter with losses, its competition has increased elsewhere. In China, a new hotbed for mobile growth, local vendors are more dangerous than ever. Xiaomi's low-cost phones are so attractive to consumers that even Samsung is struggling more than it used to. Apple's iPhone 6 and iPhone 6 Plus have also been hugely successful in China. Earlier this week research firm IDC released its latest report on the smartphone market in China, where Sony isn't even a blip on the radar. Xiaomi is now the lead, ahead of Apple, Huawei, Lenovo and Samsung. An entire "others" market segment, which Sony falls into, includes dozens of phone makers that all have less than Samsung's already slim 7.9-percent share. The situation isn't much better on a global scale. Samsung led in the fourth quarter with a 20 percent market share, followed by Apple right behind it. Lenovo/Motorola, Huawei and Xiaomi all filled out the top 5. Others, a market segment that includes every single other smartphone brand analyzed by IDC is, again, where Sony sits. That includes other competitive brands such as LG, HTC, Microsoft, BlackBerry ASUS and Acer, all of which are battling to gain a larger slice and none of which are going to let Sony easily slide by. Sony struggles in the U.S., too, where its relationships with U.S. carriers isn't particularly strong. While the company develops fantastic flagships, it hasn't been able to launch them across all major U.S. carriers as well as competitors such as Samsung, LG and HTC have. The Xperia Z3 launched on T-Mobile and a model hit Verizon, though with watered down specs, though Sony hasn't – in my memory – been able to launch a flagship on all four major U.S. carriers. That's an issue. Sony's CEO Kazuo Hirai suggested as recently as this summer that Sony needs to stay in the smartphone business to maintain its relationships and to keep its foot in the door as wearables, often connected to phones, gain in popularity, you can see why it might not make much business sense to do so. That's why, even though we all know and love Sony's smartphones, Hirai said he won't "rule out considering an exit strategy," for his mobile business. Will it happen? We don't know yet, but if Sony's really going to focus on emphasizing profitability, you can see why it might ultimately make the decision to cut mobile. The segment has been losing money while the the competition is fiercer than ever, especially in places where Sony doesn't have a footing.